LONDON, ENGLAND–As the 2018-2019 English Premier League (EPL) season kicks-off, five clubs are set to unveil new pitch lighting at their home grounds, significantly enhancing visibility, broadcast quality, energy efficiency, and the overall stadium experience for players and spectators. This past summer five clubs, including Cardiff City FC, Southampton FC, Tottenham Hotspur, and Wolverhampton Wanderers FC, had new LED lighting installed, continuing a growing trend among EPL clubs. “Cardiff City would like to thank Musco for the fantastic achievement of delivering the new floodlighting system ahead of schedule which was some feat given the requirement to rewire the stadium using rope access teams. Their professional approach to a challenging installation is to be admired and the product and light rendering achieved surpasses our expectations and is a marked improvement to our original metal halide system,” says Cardiff City Director Steve Borley. The transition to LED for field-of-play lighting at major stadiums and arenas has become more frequent in recent years, as advances with the technology have made it a cost-effective option. In that time, stadium owners also have discovered a wide disparity in how well different LED solutions perform. In some cases, clubs that had LED lights installed in just the past few years have already been forced to have them replaced due to problems with glare, unreliable performance, and failing to comply with necessary lighting and light-level specifications. “We have had a number of challenges in getting our stadium to meet the Premier League’s compliance requirements. We engaged with Musco to find a lasting solution to the longstanding problem of lighting at St Mary’s. We want to provide our fans with the best possible experience, both at St Mary’s or at home, so we wanted to engage the market leaders and we have not been disappointed by the results. Following a very difficult working relationship with our previous supplier, we have found working with Musco an extremely straightforward and positive experience,” says Southampton’s Board member & Director of Legal & Risk Tim Greenwell. Each of these five most recent EPL clubs to make the switch to LED conducted exhaustive, independent research comparing the performance of different manufacturer solutions, before all of them chose to partner with Musco Lighting. Musco’s Total Light Control – TLC for LED® technology is distinctive in that it’s designed as a complete and highly-customized system, manufactured to meet each stadium’s exact needs based on their unique architectural and environmental features. With the new LED lighting in place, Cardiff City, Southampton, Tottenham Hotspur, and Wolverhampton are poised to offer an enhanced stadium experience for players and fans. The system’s patented visoring virtually eliminates glare that non-shielded LED fixtures create, and its DMX integration allows individual fixtures to synchronize with music for cutting-edge light shows. Multi-zone aiming will greatly improve broadcast quality, and the system’s reliability and long-term warranty relieves the clubs from worrying about maintenance or paying to maintain the system. 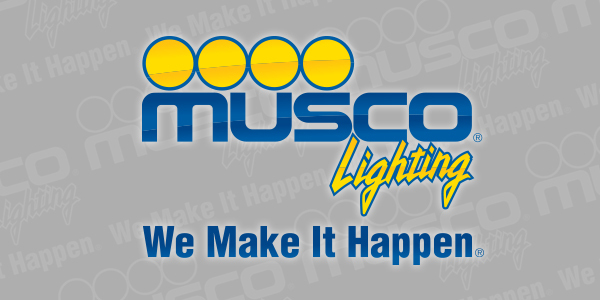 Since 1976, Musco has specialised in sports and large-area lighting with innovations in light quality, glare reduction, and light control responsible to the needs of facility owners, users, neighbors, and the night sky. Musco’s TLC for LED® system technology delivers a level of light control and uniformity that can’t be matched, and is the solution of choice for neighborhood pitches, professional stadiums and arenas, international speedways, and global events such as the Olympic Games. Musco backs its LED solutions with a long-term warranty covering parts and labor, eliminating maintenance concerns and costs for its customers.